Cobra Professional Series 29LXBT CB Radio With Bluetooth Cobra Professional Series 29LXBT CB Radio With Bluetooth, Cobra 29LXBT Bluetooth CB Radio, Bluetooth CB Radio, CB Radio, Cobra Bluetooth CB Radio, Cobra CB Radio, Cobra 29 Channel CB Radio, 29 Channel CB Radio [Cobra 29LXBT Bluetooth CB Radio] - $195.95 : 3rd Strike Performance, Your Source for Late Model MOPAR Performance Parts and Accessories! 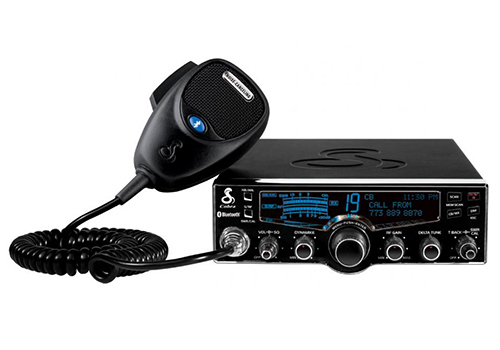 The 29LXBT CB Radio from Cobra gives professional drivers and CB enthusiasts a safe and convenient way to communicate thanks to this patented CB Radio with Bluetooth wireless technology. Calls to your Bluetooth capable mobile device can be synched, making conversations while behind the wheel less of a headache. Audio is routed through factory speakers, and the unit features one-touch operation for answering and canceling calls. Other benefits include Caller ID functionality, a noise cancelling microphone, selectable four color LCD display, NOAA weather and emergency alert functions, clock/alarm/timer function, day/night dimmer control, and much more. Built using Cobra's 29 LTD Classic chassis and contains all the features of the 29 LX models.